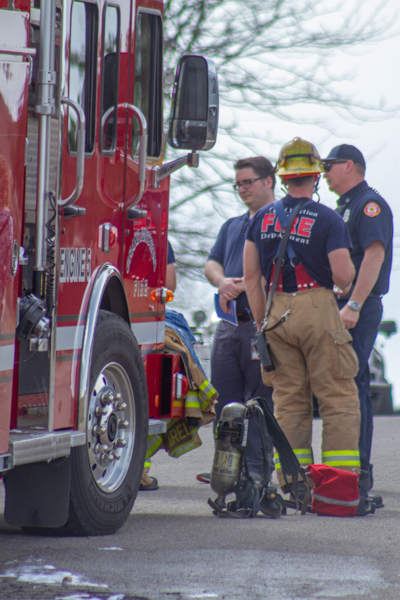 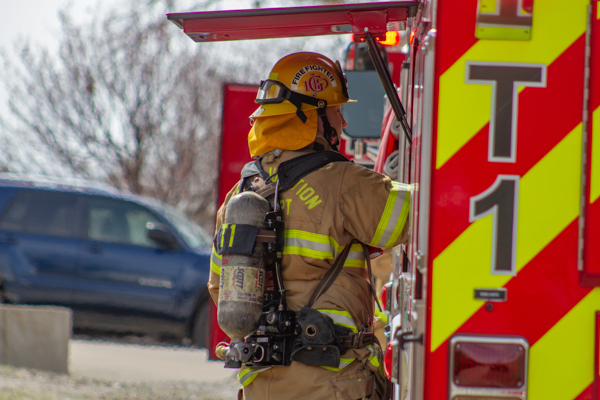 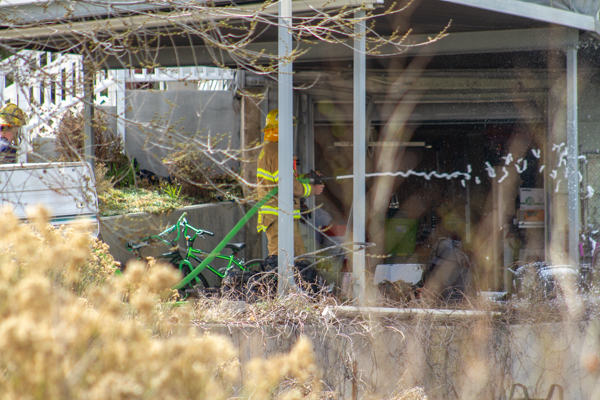 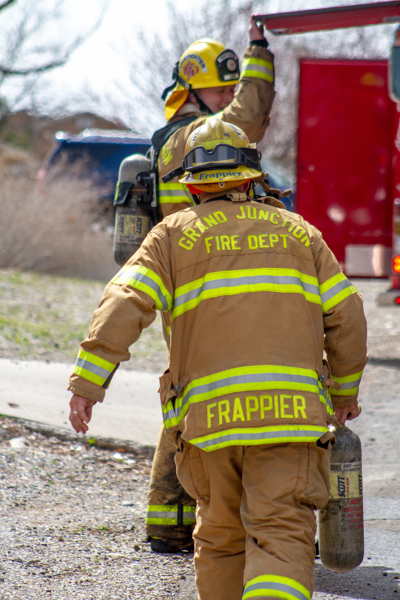 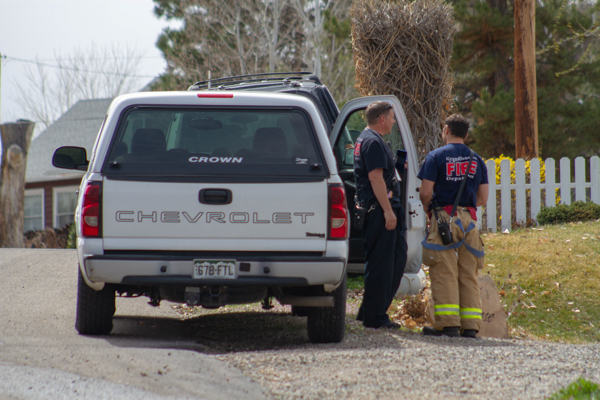 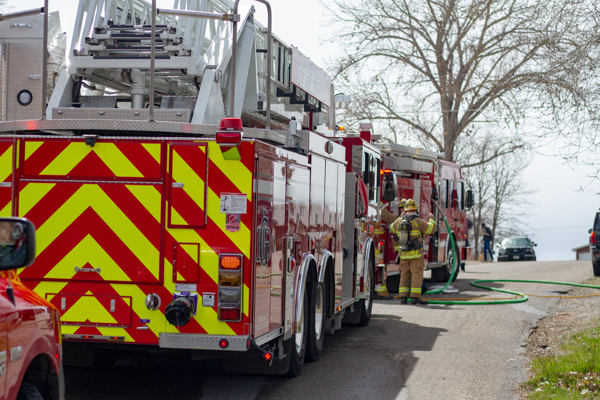 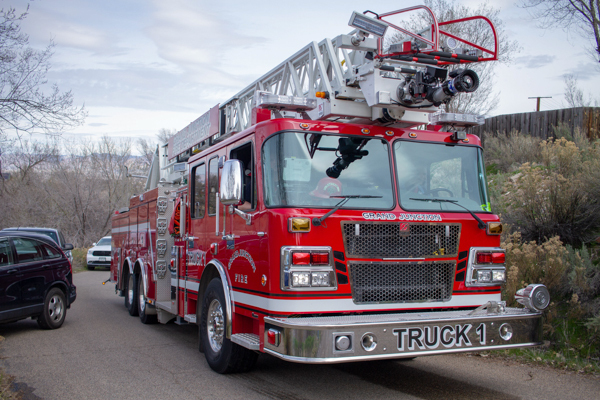 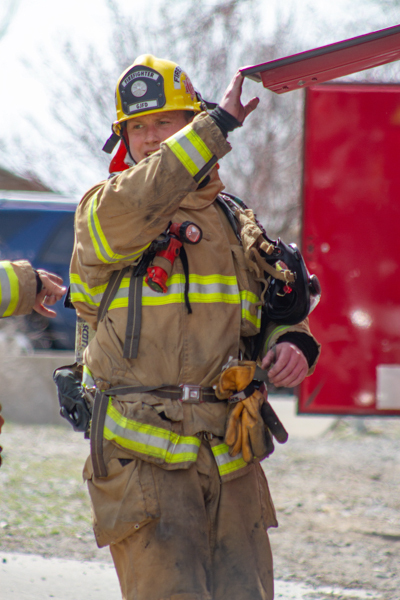 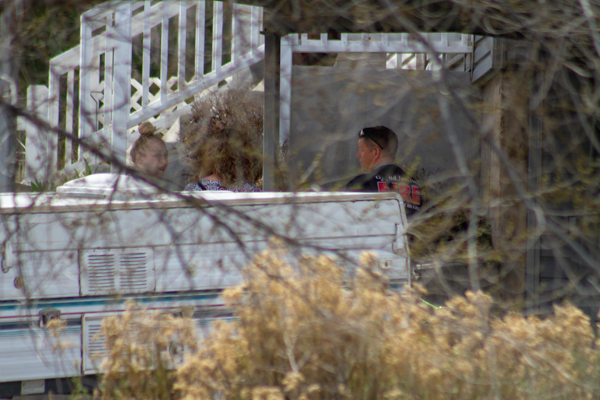 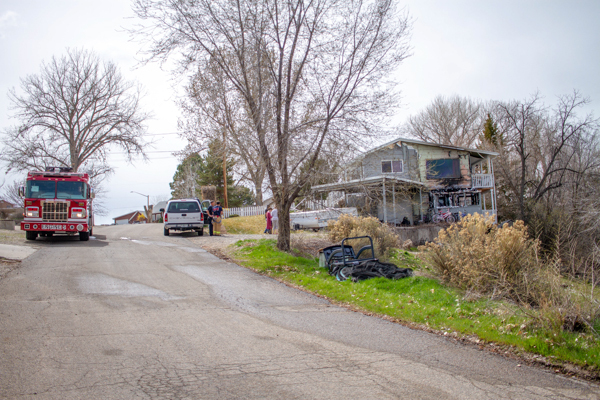 At 11:13 on April 2nd, 2019 Grand Junction Fire Department was dispatched by Grand Junction Regional Communication Center on a working residential structure fire in the 400 block of Dressell Ct. near the Ridges area. 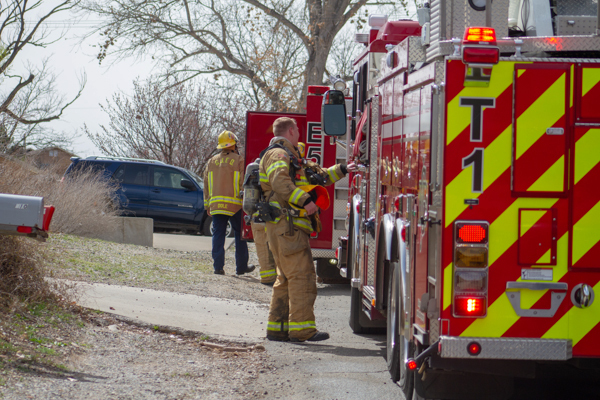 911 calls indicated a shed was on fire next to the residence and increasing in size. 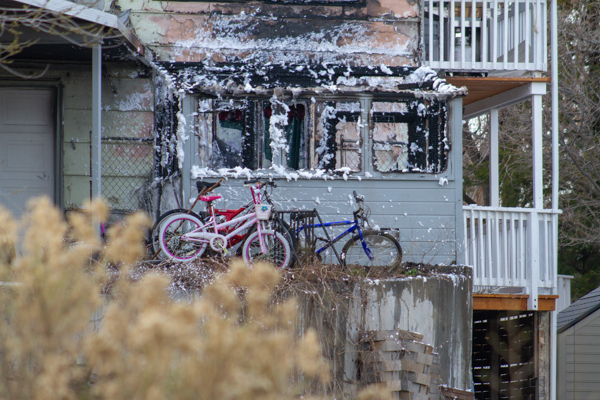 Engine 5 arrived on scene and found a two-story single family residence with a working fire on the Delta side of the house, coming from what appeared to be an attached shed. 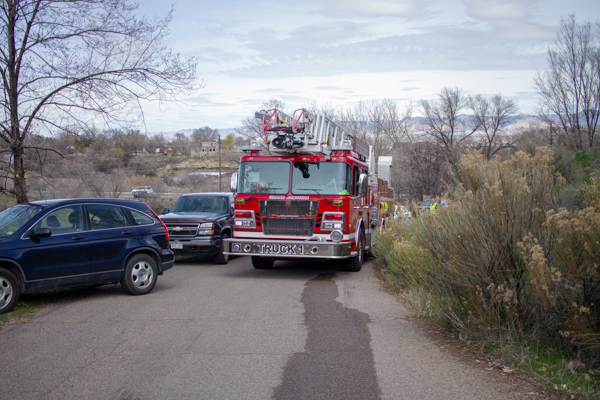 Engine 5 pulled an 1 ¾ line for fire attack and was backed up by Truck 1 shortly after arrival. 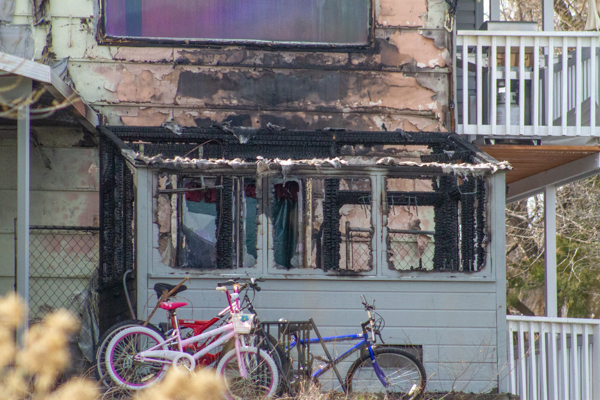 Fire had spread to the exterior of the house and had already melted the siding and burned through the shed. 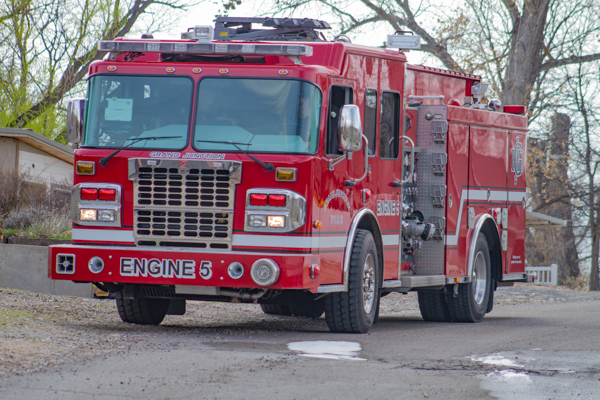 Due to a lack of water supply, Water Tender 5 was picked up by Engine 3 on their way into the scene from Station 5. 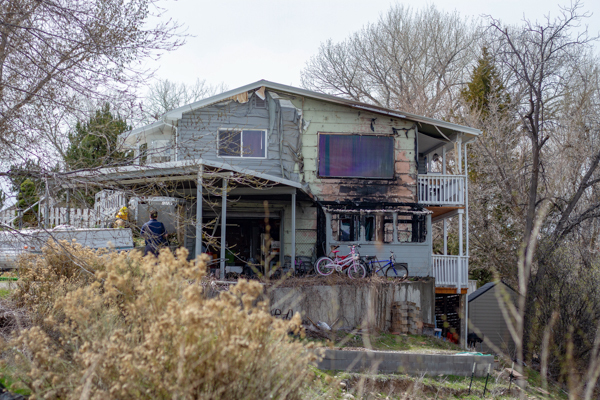 Crews were able to perform a quick knock on the fire and prevent it from spreading into the interior of the house or attic. 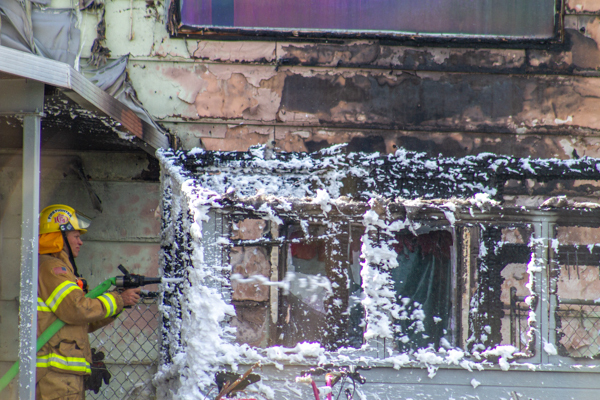 Crews were on scene for a little over an hour and a half. 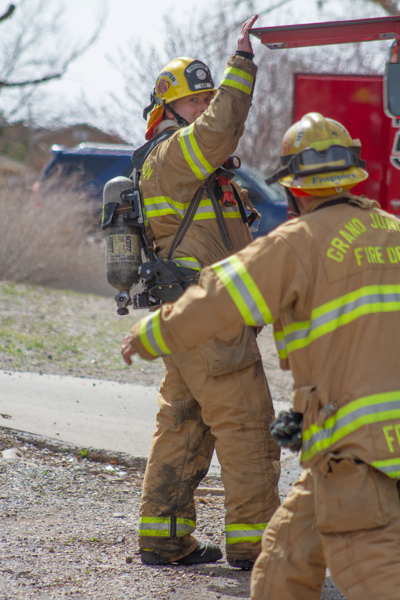 The cause of the fire is under investigation by the Grand Junction Fire Department. 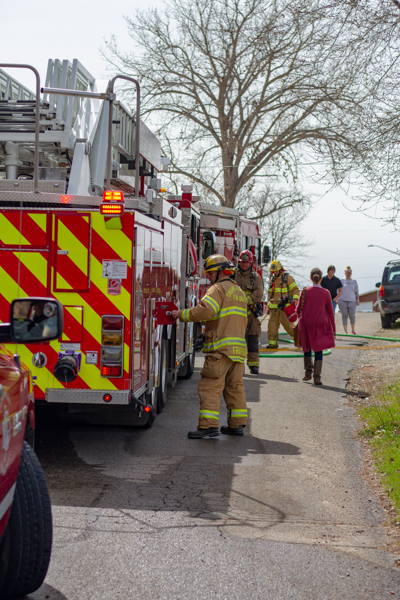 Dry brush around the home created considerable danger with active fire. 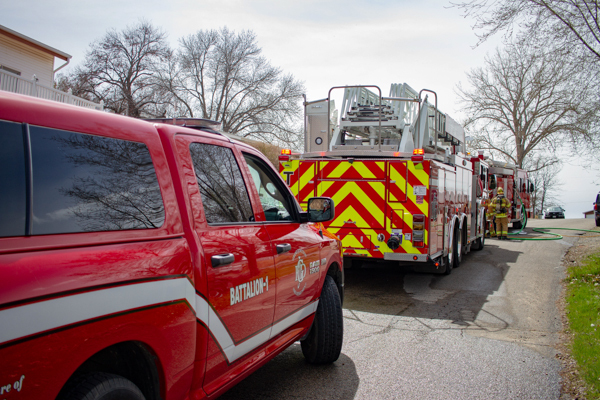 5 residents were displaced by smoke and water damage to the interior and American Red Cross was requested to the scene for assistance.